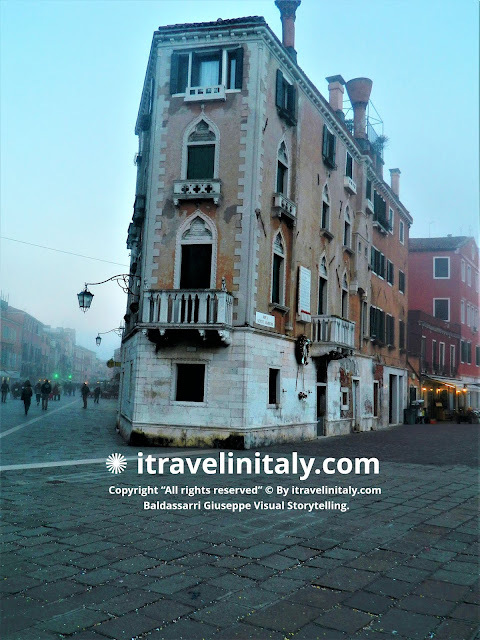 I Travel in Italy Baldassarri Giuseppe Visual Storytelling. 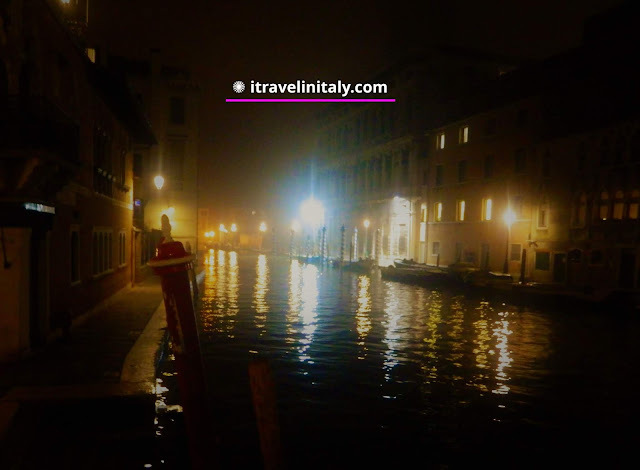 Coming back from dinner with friends from Campo San Polo, I had to cross some canals, ready to take new pictures, fascinated and attracted by the surreal silence and reflections of the canals. Venice, keep calm. and what else. 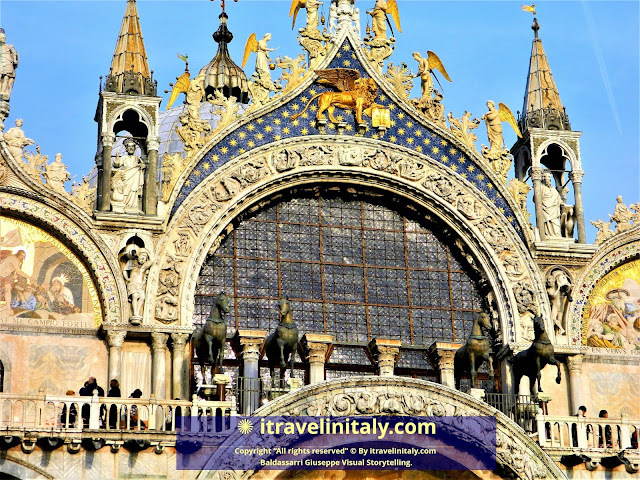 A beautiful setting, the largest square in Venice, a universal icon, a UNESCO heritage site, every construction is a heritage in itself. But even more at carnival, it is embellished with all kinds of costumed masks. 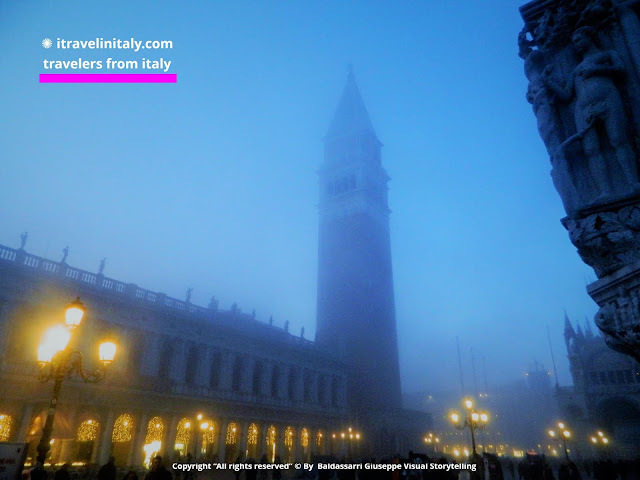 Piazza San Marco, 30100 Venezia VE, Italy The fog drops the shadows get longer, the lights bark, Venice seems more mysterious and beautiful. Campo San Rocco e dei Frari, 3063, 30125 Venezia VE, Italy Sotoportego San Rocco Venezia Copyright “All rights reserved” © By itravelinitaly.com travelers from Italy Baldassarri Giuseppe Visual Storytelling Venice and its Fluid constructions. Space and the forms are unique and chaotic in Venice, all shaped without linen, a square, an alley, a house, built using a variable height, everything else has illogical forms. It is enough to turn the fluid form one day through the streets or streets to make the captain. 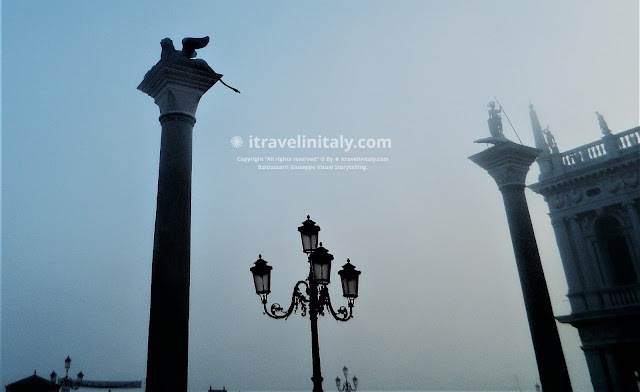 Columns of San Marco and San Teodoro Copyright “All rights reserved” © By itravelinitaly.com Travel in Italy Baldassarri Giuseppe Visual Storytelling. In that unique moment for me, in the evening and the fog was coming, I returned to my steps to prepare for dinner, I take this picture in full euphoria from a skilled photographer. Ponte dei Barcaroli or dei Cuoridoro, on the Rio dei Barcaroli. Calle del Frutarol - Frezzeria Stone bridge; brick and stone structure, iron balustrades with arches. BARCAROLI this Bridge was called del Cuoridoro for a heart-wood workshop, remembered however by the name of a next Sottoportico and a next Court. 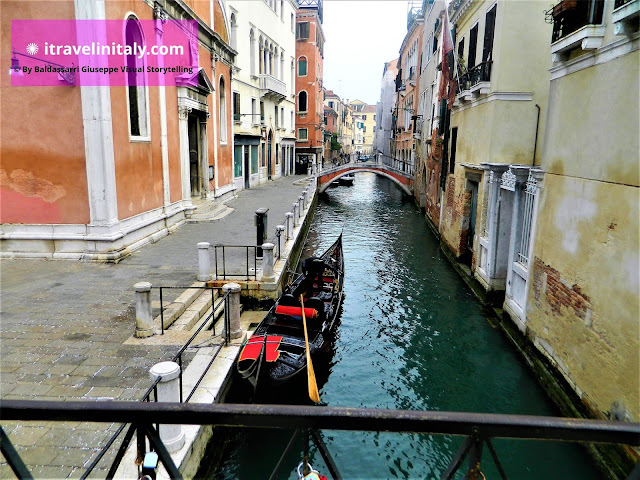 Then it was called the Barcaroli for the station of gondolas That morning I had little time for photos, but only the passage over a bridge presented you with a splendid landscape. 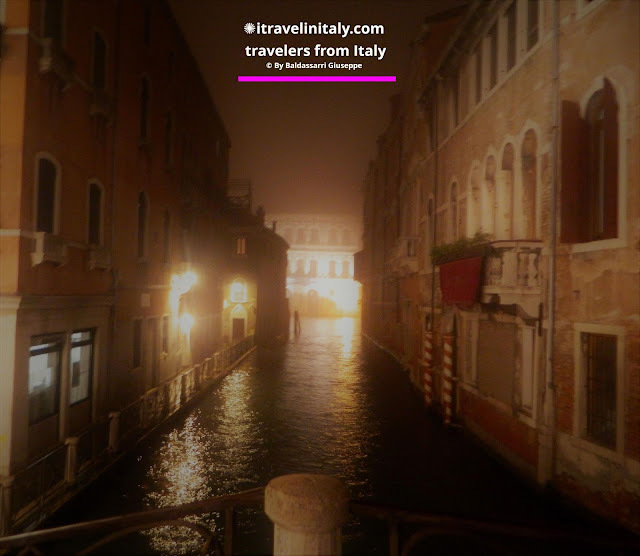 The main street of Venice, everything started here building piles, the sinuous path of an ancient river in its final stretch, which flowed across the lagoon, among small islands. 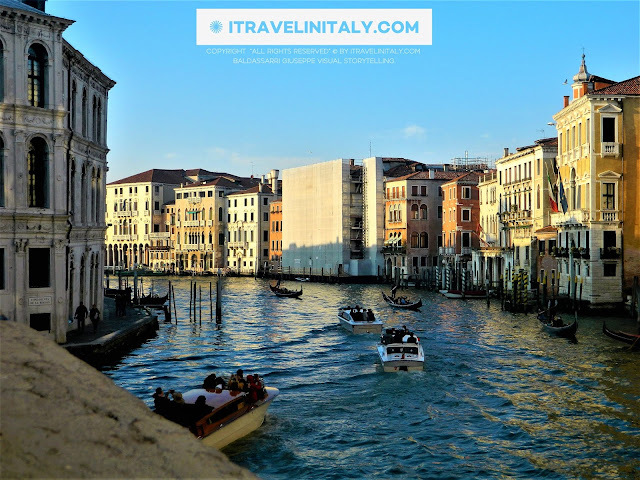 The Grand Canal Venezia Copyright “All rights reserved” © By itravelinitaly.com Baldassarri Giuseppe Visual Storytelling. 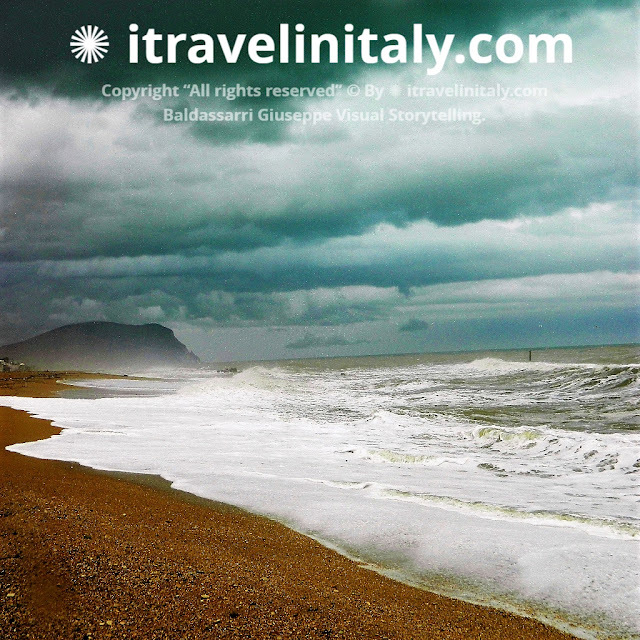 Monte Conero, beautiful and majestic every season, in winter protects us from the cold northern winds that cause disturbances, creating a mild microclimate throughout the year. Giovanni and Sebastiano Caboto Venezia Photo by Giuseppe Baldassarri — National Geographic Your Shot: Giovanni and Sebastiano Caboto in Venezia in Via Garibaldi Copyright “All rights reserved” © By itravelinitaly.com Travel is the traveler from Italy I Travel in Italy Baldassarri Giuseppe Visual Storytelling. So it seems, but seen from above it is certain that a bow. Faced with the commemorative plaque of Giovanni and Sebastiano Caboto. Giovanni and Sebastiano Caboto among the great navigators of the time of the first American discoveries. There was traffic. 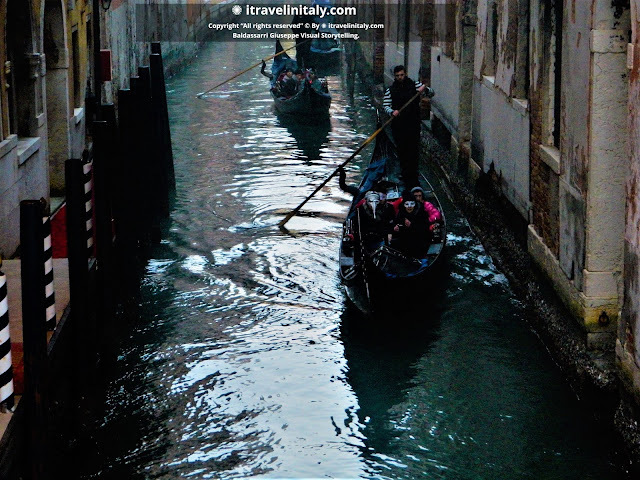 In Piazza San Marco, most of the masks came out, everyone was getting ready to go to private parties, you won't believe it, but the fastest means, in that case, is the Gondola. In Venezia, it's all true, the one we saw in the movies or read in a book.